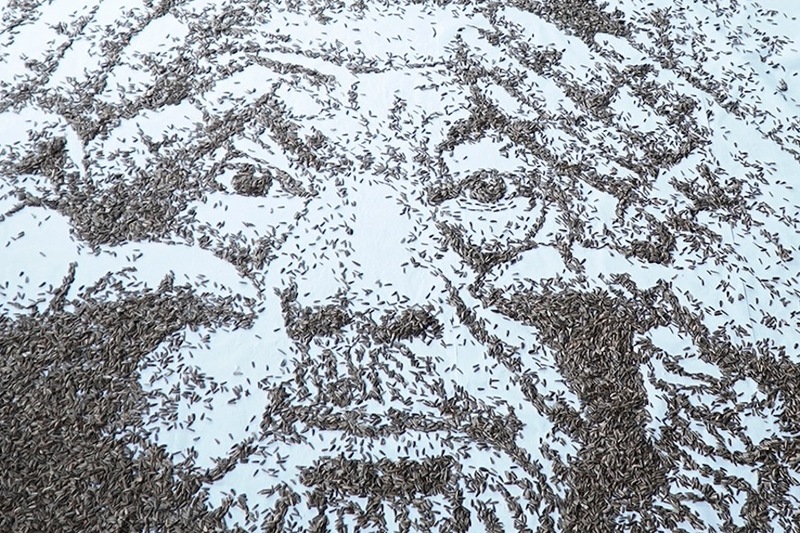 Known as the “artist who paints without a paintbrush”, Malaysian-born and Shanghai-based artist Red Hong Yi utilises unusual materials to create portraits of well-known Chinese personalities – including a portrait of Jackie Chan made of 64 000 chopsticks, and a rendering of singer Jay Chou from coffee cup stains. 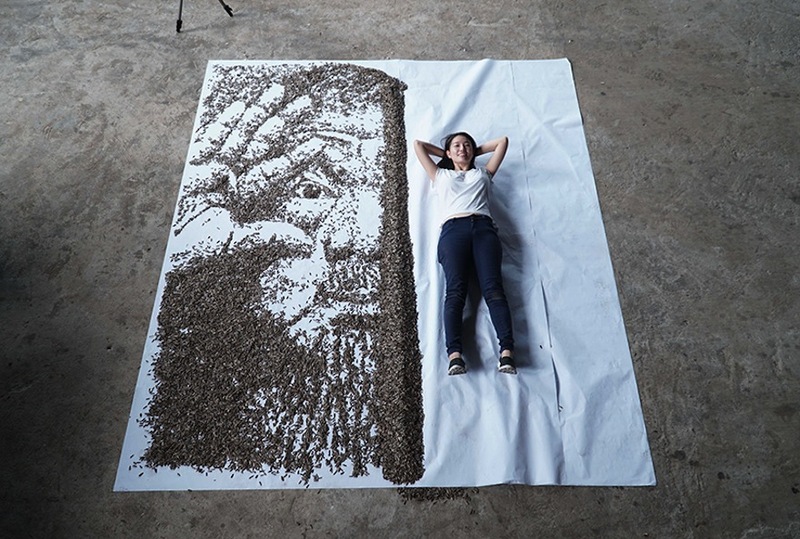 Hong Yi’s latest piece is comprised of 20 000 seeds meticulously arranged to form the image of celebrated Chinese artist Ai Weiwei. 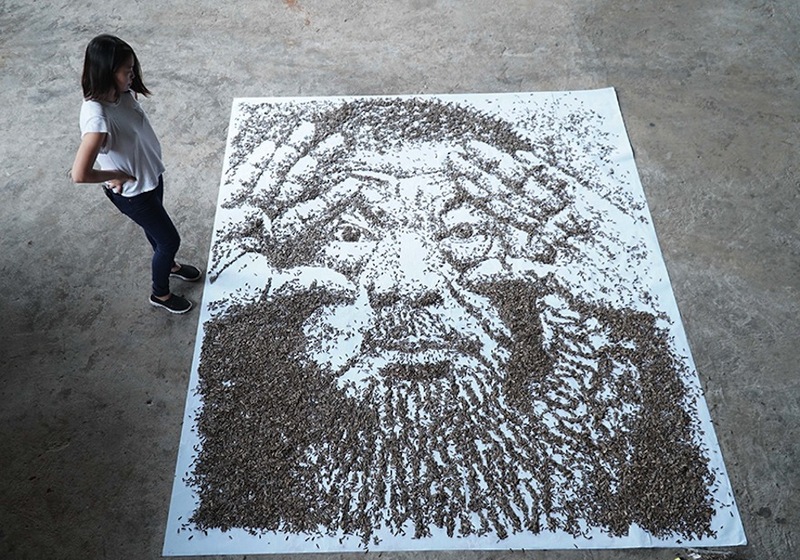 Inspired by a famous quote from the artist that compares the household seed to a revolutionary symbol, Hong Yi’s organisation of the thousands of kernels creates a hyperrealistic likeness of Weiwei’s eyes, nose, mouth and hands. Aptly titled 20 000 Seeds, Hong Yi created the piece as a tribute to the contemporary artist and activist whose work and voice have long been symbols for the challenging of political systems - particularly in China. In the sense that it engages with society in some way, all art could be considered political. Hong Yi’s 20 000 Seeds very gently occupies this space. By depicting the likeness of an artist who was “forever questioning and asking for accountability from establishments through his art,” this work can be seen as encouraging people across the world to exhibit similar bravery and courage to think and see clearly, and to protect freedom of expression. 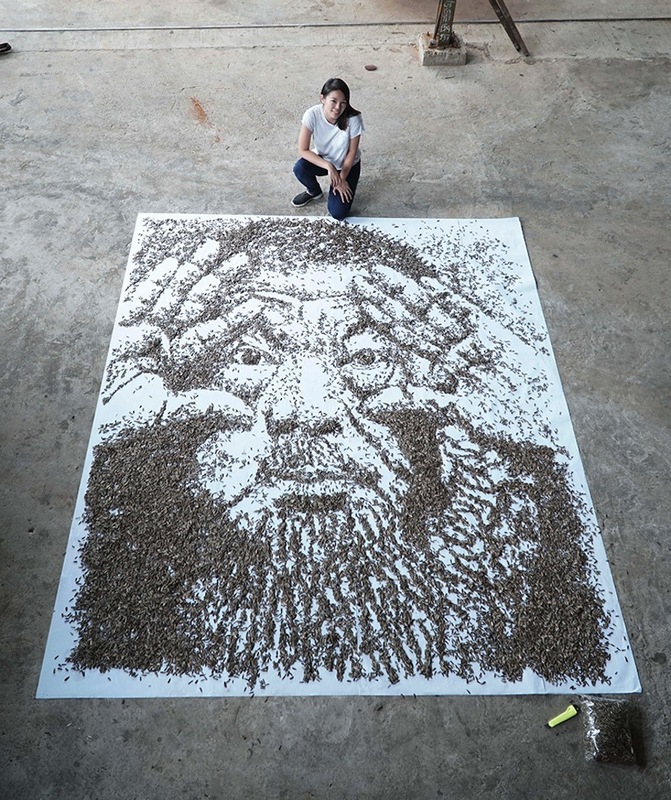 Upon a large white canvas, Hong Yi built the portrait seed by seed. She managed to successfully capture his features in tremendous detail – an unsurprising feat to those who are familiar with any of her previous work. From socks and flower petals to used tea bags and melted-down candles, Hong Yi’s utilisation of ordinary objects to create intricate artwork challenges our own understanding of objects and image-making. Watch Hong Yi in action below.